I realize it’s a little late into 2014 to be writing this, but I didn’t get the idea until mid-way through January & it took me a while to compile this list, so I’m going ahead with it anyway even if the post seems a bit belated. A few of these albums were actually released in 2012 but didn’t become truly popular until 2013, or at the very least I didn’t discover them until 2013 so I’ve included them anyway. I’ll be upfront & tell you that 90% of these albums are rock albums, so if you don’t like rock music I guess this post isn’t for you. But I challenge you to read it anyway because you never know what might trigger your interest. Aside from #1, these are in no particular order. I’ve included links to at least one of my favorite songs from each album because I’m awesome like that. 🙂 At the end I’ve also included some of my most anticipated album releases for 2014. It’s nigh impossible for me to pick a favorite album of all time but if I had to do it, I think this dual-album would be my choice. There are a lot of reasons I say that, not the least of which is that I find myself subconsciously judging other albums based on this one. I don’t mean to do that because consciously I realize that a concept album such as this is not THE standard for all albums ever made & yet this one is just so breathtaking that it’s become my point of comparison for just about everything. 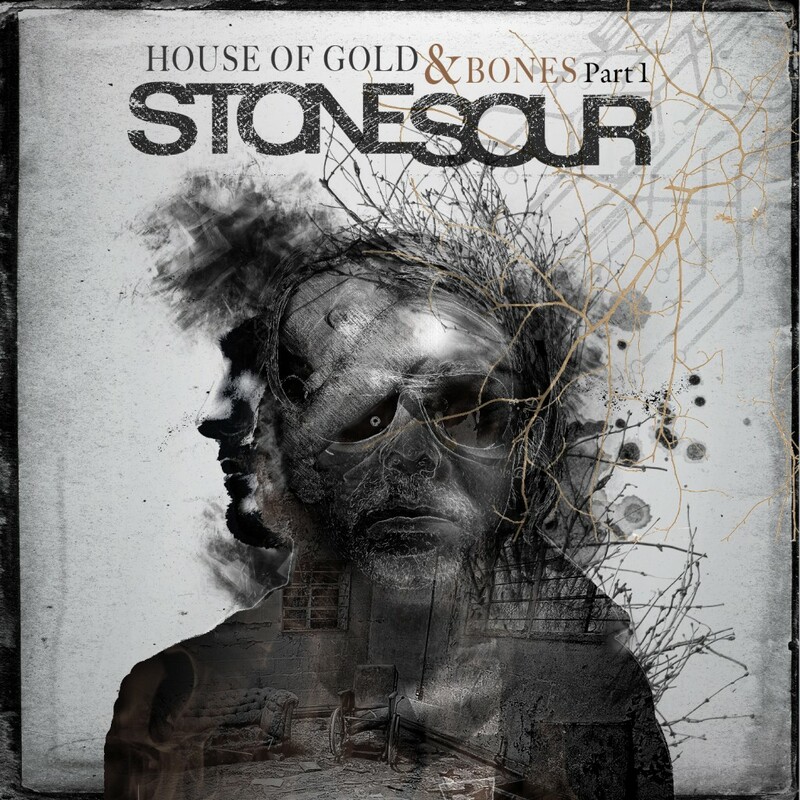 I didn’t know a lot of Stone Sour music before this dual-album debuted, but when I started hearing Absolute Zero on the radio I fell in love immediately. I was at Best Buy purchasing another album one day & just happened to see Volume 1 of The House of Gold & Bones & decided to take a chance on it. Best decision ever. Within a few weeks of purchasing Volume 1, I was completely entranced. Every single song is just so perfect & they all flow together like a rock symphony so that often it is difficult to tell where one song ends & another begins. Volume 2 is exactly the same way. Between the two Volume 1 is my favorite but honestly they are both phenomenal. From ballads to harder songs that are more Slipknot in feel, the vocals, the lyrics, the music itself, everything is in top form. Just about every emotion human beings can experience is touched on in these songs. There is so much more I could say about this dual-album but I’ll stop now for fear of boring you. Just buy the albums. You won’t regret it. FFDP is one of those rare bands whose songs I almost always fall in love with immediately upon hearing them. They are just that good. From ballads to thrashing rock & roll anthems, Ivan Moody’s voice is mesmerizing & the band behind him is top-notch in every way. When you hear a FFDP song, there’s never any question about whose song it is. You just know. Like Stone Sour, FFDP released a dual-album in 2013. These are not concept albums but they are fantastic nonetheless. There are plenty of the traditional “angry” songs for which FFDP is famous, but there are also plenty of powerful ballads. The titular song on the first album is one of my favorites along with Battle Born & Cradle to the Grave on Volume 2. Volume 1 contains several compilations with other artists including Rob Halford from Judas Priest & Maria Brink from In This Moment. There is also a remake of the LL Cool J song Mama Said Knock You Out featuring the rapper Tech N9ne. A hard rock/metal band remaking a rap song? Yes, that’s right. And it’s amazing. There’s a reason FFDP is the number one band I listen to on the way to work: their music is just so energizing. Is it ironic that what most people would consider to be “angry” music energizes me to provide compassionate care to sick people? Maybe, maybe not. There’s a lot more to this kind of music if you just take the time to listen a little deeper. Bottom line: whether you are already familiar with FFDP or not, check out these albums today.